During Valentine’s, the traditional “couple’s holiday,” It’s especially important to remember to honor your beloved Self. I’ve learned from my life coach clients and my own experience that something about Valentine’s brings out the best and the worst in all of us. If we are without a beloved at this time, we may feel particularly alone and “outside” of it all, and if we are in a relationship, there are those unspoken expectations to get the right gift, say the right words, have the right evening out. Romantic love tends to create expectations. This is why it’s so important that we enter into the “Valentine’s Zone” (my affectionate name for the week around Valentine’s) with a strong sense of Self-Love. This means we actually have to PRACTICE Self-Love. Think about it. We have to practice romantic love with a partner. It’s not enough to just know that our partner loves us. We need to share intimate moments, open-hearted conversations, and daily physical affection. Such is the case with ourselves as well. We need to cultivate and practice Self-Love for our relationship with ourselves to remain strong and vibrant. And whether or not you’re in a committed, intimate relationship doesn’t change the importance of the task of loving and honoring your-Self. After all, your primary intimate, love relationship mirrors your love relationship with yourself. So it makes sense that your first investment in your relationship is always in you. 1) Kiss yourself a dozen times right now; on your hand, on your knee (on your ankle if you are flexible enough) or anywhere else you feel inspired! 2) Write yourself a love letter. Make sure and tell yourself all the unique qualities you love about you. Actually mail it to make it more “official” — you’ll have fun receiving it in your mailbox in a day or two. 3) Treat yourself to a nice relaxing bath complete with candles and soothing music (guys, if you prefer, you can drive to the edge of a lake or ocean and sit in your car enjoying the view as you blast your favorite rock music as loud as you can and literally scream the lyrics — or get out of your car and dance). 4) Write yourself 10 little, positive affirmation notes (quickies like “You Rock!”) and hide them in places you will naturally find them in the near future – in your drawers, shelves, on the back of your milk carton, under your pillow, etc. 5) Give yourself a reflexology massage. Sit somewhere comfortable and massage your own magnificent foot (remember all of your body is represented in different parts of your foot – you’ll feel good all over). 6) Look in the mirror and tell yourself “I love you” over and over until you can feel the receiving part of you soften and really take it in. 8) Write yourself a playful Love Poem – a haiku (5-7-5) or a “Roses are red, violets are blue…” is fine. Just poouuuuuur our your love! 11) Finally, and I’ve saved the best for last… attend a free webinar being hosted by the amazing author of “Thank You For Leaving Me”, Farhana Dhalla. Her voice, her energy, her honest, open-hearted advice is like love in a cup. She’s titled it around recovering from divorce, but trust me, if you’ve ever loved and “lost” in ANY capacity (haven’t we all? ), you’ll benefit greatly from her webinar. You can register for the free event here. There, didn’t that list feel good? When you cultivate Self-Love, it’s like a magnet to a partner. Don’t be surprised when you practice these tips that your beloved is a little more affectionate. Or if you’re currently single, you just might find that you’re getting a lot more attention from potential partners. Keep up the practice for a full month and you’ll be even more loving and love-magnitizing. Happy Valetine’s Lovely One. May it be your best ever! 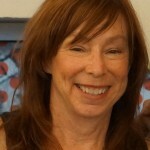 Vicki Howie, MA, CHt can be reached at chakraboosters.com. She is an International Life Coach, Singer and Creator of Chakra Boosters Healing Tattoos™. Begin balancing your chakras now, by listening to her new Chakra Healing Album, Chakra Love. Wow, Barbara, you have weathered your tribulations beautifully and are a lovely inspiration for all! Yes, all of our relationships begin with our self-relationship. May you have a wonderful, self-loving Valentine’s. Love and blessings!